Bluetooth is a technology that makes our lives easier. It has been popular for years. You probably have heard, or even used it at some point of your digital life. As a lover of MacBook Pro, one of the questions I have in mind and got asked several times was: does a MacBook Pro have Bluetooth? How to check what Bluetooth version my Mac is equipped with? Today I’m going to show you the answer. Does MacBook Pro have BlueTooth? That means, as long as your mobile devices (e.g. a mouse, an iPhone/iPad, etc.) are Bluetooth-enabled, they can be connected to your Mac without problems. How to tell what Bluetooth version your MacBook Pro has? Step 1: Click the Apple logo icon on top left corner, then select About This Mac. 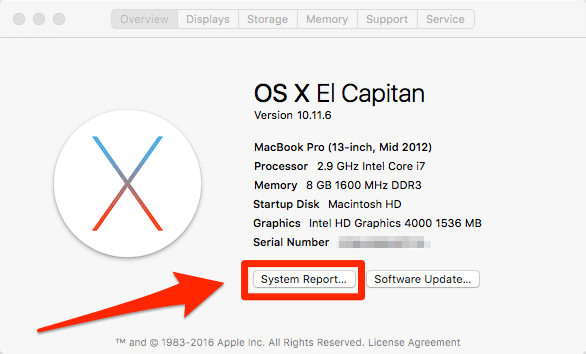 Step 2: Click the “System Report” button to continue. Step 3: Under Hardware tab, find Bluetooth. 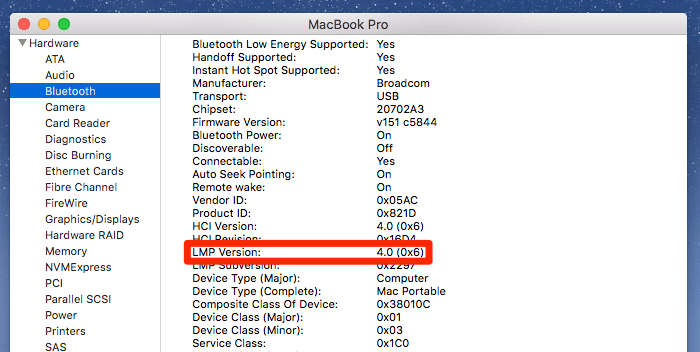 Scroll down and locate this line called “LMP Version:”, it indicates the version of Bluetooth your Mac is currently with. For example, my MacBook Pro is with Bluetooth 4.0 (see the screenshot below). In general, newer versions are faster, more reliable and secure. If you are interested in knowing a little bit further about Bluetooth technology, here are some useful resources to explore.